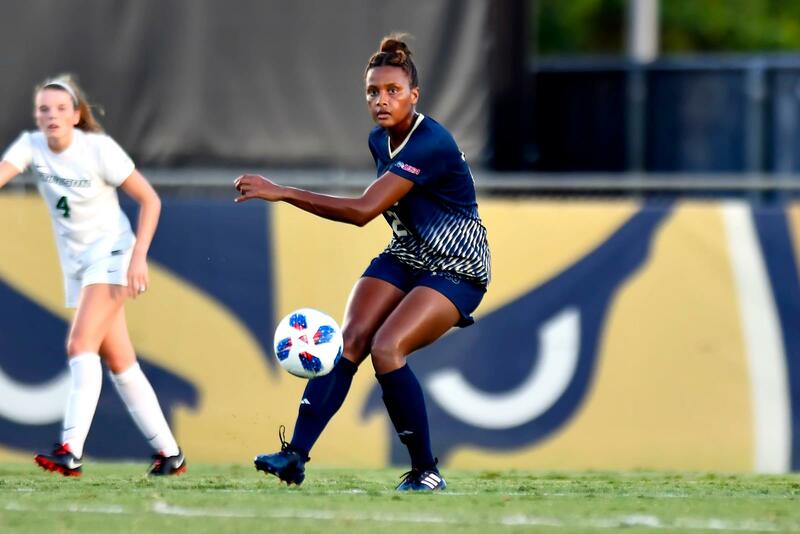 MIAMI – (Sept. 13, 2018) – The FIU women’s soccer team fell in to Florida Gulf Coast in it’s final non-conference game of the season, 5-1. FGCU improves to 6-0-1 , while FIU falls to 0-8-0 on the season. The match saw FGCU open the contest with four unanswered goals before redshirt sophomore Ashley Adams found pay dirt in the 81st minute to give FIU its first points of the game. FGCU later tacked on their fifth and final goal in the 86th minute to close out the game, 5-1.Evdoki Popadinova led the Eagles with four points on the night, scoring one goal and adding a pair of assists. Adams had game-high four shots, including two on the Eagles’ keeper. The underclassmen duo of Kaydeen Jack and Tamia Roberts each totaled a pair of shots. Freshman goalkeeper Christina Velazquez collected five saves on 10 shots. FIU starts C-USA play on Sunday, Sept. 16 at home against UTEP. Start time is set for 1 p.m. ET at the FIU Soccer Stadium. >> Florida Gulf Coast evens the all-time series at 9-1-1 against FIU. >> Sophomore Ashley Adams scored her second goal of the season, tying for the team lead with freshman Kaydeen Jack. >> Jack’s assist on the Adams’ goal, gave Jack her first career assist.SOCIAL MEDIAGet all the latest information on the team by following @FIU_WSoccer Instagram and @FIUWSoccer on Facebook and Twitter. General athletic news can also be found at @FIUSports on Facebook and @FIUAthletics on Twitter and Instagram.